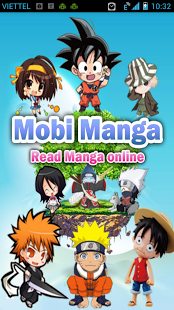 Mobi Manga is the manga, comic, anime app that lets you READ MANGA & DOWNLOAD thousands of manga (comic, anime) from Japanese, Korea, Chinese, Vietnam, Indonesia! 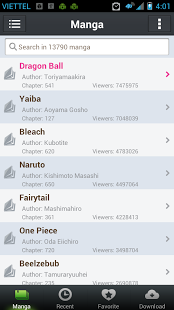 Mobi Manga is by far the biggest manga, comic, anime collection available in any manga reader app. Mobi Manga have more 15.000 mangas in around the world. naruto manga, naruto, manga one, manga online, anime, manga anime, manga bleach, manga one piece, manga reader, read anime. Mobi manga is the best manga, comic, anime, reader with awesome user experience and latest manga books. – Keep track of manga you love. – “New” indicators for latest favorited manga chapters releases. – Auto-download next chapter manga. 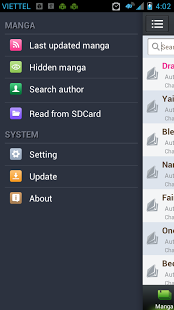 “MangaSearcher” is a free Manga Reader for Android. There are so many “Manga Reader”, “Manga Books”, “Manga Watcher”, “Manga Viewer”, “Comic Reader”, “Comic Books”, and “Comic Viewer” in the market. Compare with them, “MangaSearcher” is still young. But we promise: We will continue develop new features for “MangaSearcher” and update it from time to time.If you like this app, you can share it in facebook, google+ or twitter.